Is Social Media Hurting Your Chances of Landing a Healthcare Job? Years ago, before the internet, employers reviewed job applications and could conduct a background check. These days, a background check can include a few clicks of the mouse to get a feel for what kind of person you are. 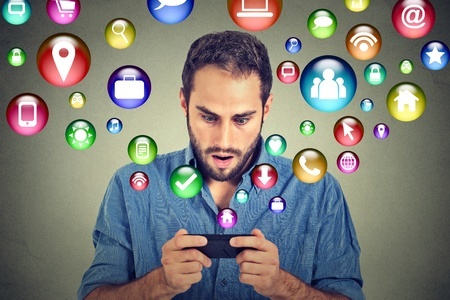 Is a check of your social media accounts an accurate reflection of your personality? Keep in mind, a potential employer is only getting a snapshot of who you are. Think about what type of image you are putting out there when you use social media sites. Although not all employers check applicants’ Facebook or Twitter accounts, it’s probably happening with increasing frequency, and online scrutinizing is likely to continue. Even though it’s only a quick blurb in your life, a picture or a comment on social media can be taken out of context. For example, that picture of you half naked, partying with your friends may be a once a year thing, but if a potential employer sees you throwing back shots of alcohol, it may raise a red flag. Don’t act on impulse: Sure, you may be mad about a comment or post someone made on Facebook, but is sounding off and leaving a nasty comment really worth it? The internet allows you to be somewhat anonymous. People make statements they probably would not make to a person’s face. Don’t hide behind the computer and your login name to say something you shouldn’t. Don’t post provocative pictures: Provocative pictures posted for your friends to see is not a great idea. You never know who will end up having access to certain photos. Your best bet is not to post anything that could embarrass you if it got into the wrong hands. Never violate privacy laws: If you already work in healthcare, never post anything about patients, even if you don’t post their name. You have to be very careful with privacy violations. HIPAA violations are not only a sure why to get fired from your current job, but they can hurt your chances of landing your next job. Clean things up: Consider doing an online search of your name. See what others see when they Google your name. You may be surprised at what you find. If a friend tagged you in a photo that you don’t want out there for the world to see, it is better you find out before a potential employer does. Consider deleting posts or even entire accounts if they create a bad impression. Check your security settings: Double check to see if your profiles are public or private. Keep in mind, even if certain accounts are private, friends may be able to share posts or quote you. It may seem like the need to censor yourself on your private social media sites is unfair, but working in healthcare is a big responsibility. Whether you are a doctor, nurse, or physician assistant, you have patients’ lives in your hands, and you need to use good judgement. Potential employers don’t really know you and need to figure out if you appear to be a good candidate. Although your social media profiles do not tell the entire story, they do provide a glimpse into your life. Keep in mind, you’re not trying to appear perfect, but your online presence may make a first impression, and you want it to be a truthful reflection of who you are. 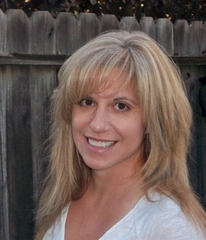 MaryAnn DePietro has been a health and medical writer for over a decade. Her work has appeared in newspapers, magazines and health websites. MaryAnn holds a degree in rehabilitation and also in respiratory therapy. In addition to writing, she works as a respiratory therapist at a trauma center in northern California.